Heat oven to 400°F. Line cookie sheet with cooking parchment paper. Place tapioca flour in large bowl; set aside. In 1-quart saucepan, heat milk, oil and salt almost to boiling. Pour over tapioca flour in bowl; mix well with wooden spoon. Cool 3 to 5 minutes (mixture will be stiff and warm). Stir in egg and cheese until dough forms smooth ball. Shape into tablespoon-size balls; place on cookie sheet. Bake 14 to 16 minutes or until light golden on top. These go well with Feijoada (Black Bean Stew). These Brazilian delicacies are meant to be eaten warm. 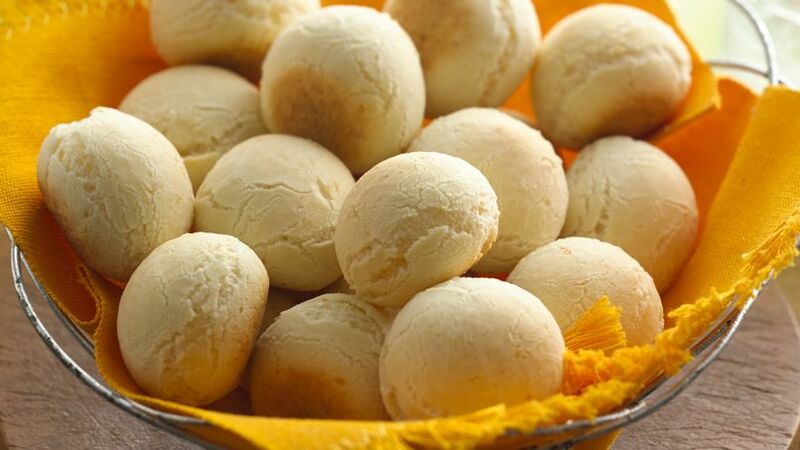 These warm and cheesy delicacies are a Brazilian staple directly from Rio de Janeiro.